Thanks to Forbes — Gene sequencing startup 10x Genomics has raised another $35 million in Series D funding, valuing the Pleasanton, California company at $1.28 billion. This new funding is a continuation of the Series D round that took place in April and raised $50 million. 10x has now raised a total of $243 million. 10x cofounder and CEO Serge Saxonov said that continuing the Series D was done “in the interest of efficiency,” rather than setting up a new round, and will be used to further expand the company’s R&D efforts as well as its marketing and sales programs. 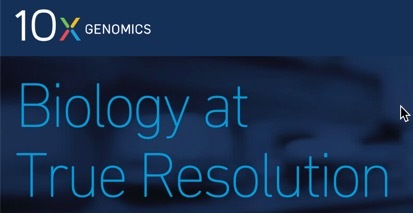 10x Genomics makes products for researchers to perform single cell and whole genome sequencing. For example, 10x’s products have been used at the Fred Hutchinson Cancer Research Center. to better understand patients’ cancers in immunotherapy and cell therapy programs. Saxonov, who was the founding director of research at 23andMe, and Ben Hindson, who cofounded QuantaLife, launched 10x in 2012, and have since attracted investors such as Softbank and Venrock. This round was led by Meritech Capital with Fidelity and Wells Fargo. 10x claims that its revenue growth has been strong and it has seen “a twenty-fold increase from 2015 to 2017,” according to a press release. Forbes reported last month that the company said its revenues were $71 million in 2017. Saxonov added that the company will report 2018 revenue figures Monday morning at the J.P. Morgan Healthcare Conference in San Francisco.